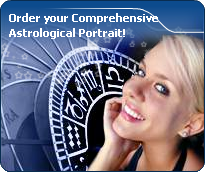 Astrological houses are referred to as being angular, succedent or cadent. Angular houses (Houses 1,4,7,10) are located at the four angles of the natal chart. Succedent houses (Houses 2,5,8,11) are located immediately after the angular houses. Cadent houses (3,6,9,12) are the four following houses. There is an analogy between the principles of quadruplicities (Cardinal, Fixed, and Mutable mode), and house accentuations. Associated keywords for this accentuated houses distribution could be for example: emotivity, sensitivity, perseverance.